I’ve lost an old friend. Apparently it’s been dead for quite a while, but I just found out about it:1 E3gp19k doesn’t protect against pulmonary inflammation in cotton rats. A moment of silence, please. Ginsberg, H., S, Lundholm-Beauchamp, U., Horswood, R., L, Pernis, B., Wold, W., S, Chanock, R., M, and Prince, G., A (1989). Role of early region 3 (E3) in pathogenesis of adenovirus disease. Proceedings of the National Academy of Sciences of the United States of America Proc Natl Acad Sci U S A 86, 3823-3827. I’ve been using it for years to illustrate a particular point. Unfortunately, while grinding through the literature a couple of weeks ago, I discovered that the paper’s main conclusion was undercut in 1994, and then again in 2002. No one else seems to have noticed this either, so at least I have lots of company. Viruses have immune evasion genes that allow them to escape or resist the immune response; they target all aspects of the immune system, from interferon to antibodies to cytotoxic T lymphocytes (CTL) to natural killer (NK) cells. I’m particularly interested in the class of viral immune evasion molecules that target CTL recognition by blocking MHC class I antigen presentation. (A summary of antigen presentation is here.) However, as I’ve pointed out before, there is surprisingly little evidence that these genes are important in actual infections, as opposed to their effect in cultured cells. This contrasts with the clear and striking evidence that cytokine escape is a critical virulence factor for several viruses. One big stumbling block in analyzing the importance of antigen presentation blockade in viral infection is that the viruses that have developed this approach tend to be highly species-specific: they’re herpesviruses and adenoviruses. (And HIV; same deal as far as species specificity.) Because, for obvious reasons, research has focused on human pathogens, it’s been hard to move cell culture results into in vivo studies. You don’t see volunteers lining up to be infected with mutant herpes simplex virus, and even where lab animals can be infected with one of these viruses (e.g. herpes simplex) the immune evasion may not work in the lab animal, or there may be some other difference in the infection that makes interpretation difficult. There are a couple of herpesvirus models. 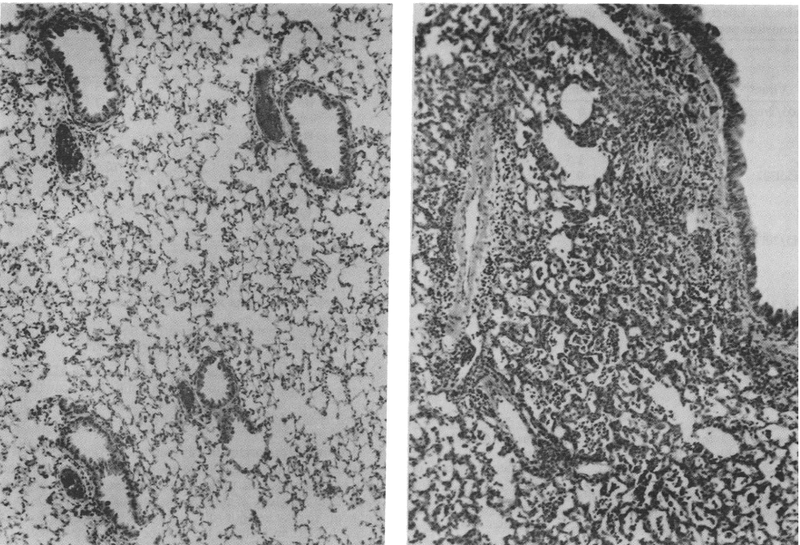 Mouse cytomegalovirus and mouse herpesvirus 68 are both natural mouse pathogens with authentic CTL immune evasion systems. In these cases there isn’t a whole lot of effect from the MCMV CTL evasion molecules (reduced virus titer in salivary glands), and there’s a moderate effect from MHV68 CTL evasion (reduced establishment of latency). There are in fact a bunch of animal adenoviruses, but — strangely — none of these seem to have CTL evasion molecules. At any rate, none of the dozen or so whose genomes I’ve looked at share the human E3gp19k protein that’s long been shown to block MHC class I antigen processing. In particular, mouse adenovirus 1 does NOT block antigen presentation, at least as determined in one careful study. And while human adenoviruses will just about infect mice, it’s not a productive infection. The human adenoviruses do express some genes in mice, but they don’t efficiently go all the way through replication. It’s not a good model for the natural infection, and so there was some interest, 25-odd years ago, when an animal model for human adenovirus infection was identified. 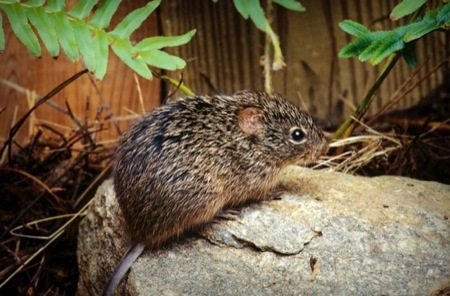 This is the cotton rat, Sigmodon hispidus. It turns out that at least some human adenoviruses, including the popular type 5, replicate quite well in cotton rats and establish a pneumonia that is vaguely reminiscent of the human disease.2 The system has never really become very popular, probably because cotton rats are vicious, evil little bastards that are as much wolverine as rodent. You handle them with steel-mesh gloves, and it’s still a sporting proposition as to whether the researcher or the rat draws first blood. Subsequent experiments showed that in fact the disease in mice looked quite similar to that in cotton rats, suggesting that mice were an adequate model after all,3 and there was an audible sigh of relief as researchers went back to peaceful little mice again. These are cotton rat lungs. On the left, infected with wild-type virus; and on the right, infected with a deletion mutant virus lacking E3gp19k. There’s much more infiltrate (inflammation) in the lungs on the right. The obvious explanation, and the one I’ve used for nearly 20 years, is that E3gp19k actually protects the host as much as the virus. In many cases (especially in pneumonia), it’s inflammation that causes the clinical signs of disease. By reducing CTL recognition of infected cells, E3gp19k reduces inflammation and should reduce the amount of disease. They also began to investigate the role in pathology of the adenoviral early gene 3 region, and determined that the proteins encoded by the E3 transcripts inï¬‚uenced the host inï¬‚ammatory response. This observation led the way to the creation of adenoviral gene delivery vectors that could persist in the host cell for long periods of time, thus promoting prolonged transgene expression. The problem is that it’s likely not true. Berencsi, K., Uri, A., Valyi-Nagy , T., Valyi-Nagy, I., Meignier, B., Peretz, F.V., Rando, R.F., Plotkin, S.A., GÃ¶nczÃ¶l, E. (1994). Early region 3-replacement adenovirus recombinants are less pathogenic in cotton rats and mice than early region 3-deleted viruses. Laboratory Investigations, 71(3), 350-358. I admit that I haven’t read the whole paper yet. It’s only available on paper (how quaint!) and my request to the library for a copy hasn’t been answered yet. Still, the abstract is very clear. The authors compared the deletion mutant with a replacement mutant — still eliminating E3gp19k, but replacing it with an unrelated gene that restores the genome size to normal (actually greater than normal). The replacement mutant doesn’t show the pathology that the deletion mutant does. An Ad5 recombinant, Ad-human cytomegalovirus glycoprotein B (Ad-HCMV.gB), in which the E3 region is replaced by the full-length gB gene of HCMV and with a genome size exceeding that of Wt-Ad, induced mild histopathologic responses in cotton rat and mouse lungs, comparable with those of Wt-Ad, but less severe than those of Ad5-delta E3. Analysis indicated that neither class I major histocompatibility complex expression on the cell surface nor differential expression of the protective E3-14.7 kilodalton protein underlies the pathologic differences observed in cells infected with Ad5-delta E3 or the Ad-HCMV.gB recombinant. … Pathogenicity and replication of the recombinant viruses inversely correlate with the genomic size. (My emphasis.) The lung inflammation is a genome size effect, not an E3gp19k effect. What’s more, this has been reproduced. 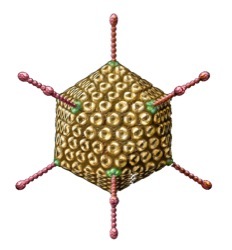 In 2001, a second group found exactly the same thing using adenovirus type 4 instead of type 5. 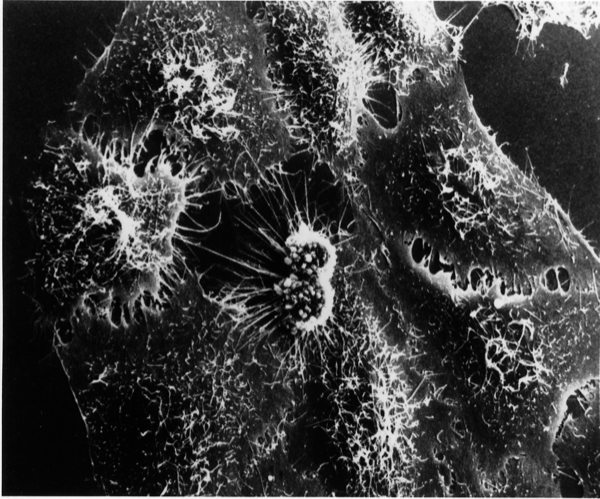 5 They didn’t even know about the Berencsi paper, and didn’t make a connection to genome size (they floundered about trying to explain the effect as a function of the inserted genes), but the actual observation was essentially exactly the same: Pathogenicity is related to reduced genome size, but not to loss of E3gp19k. 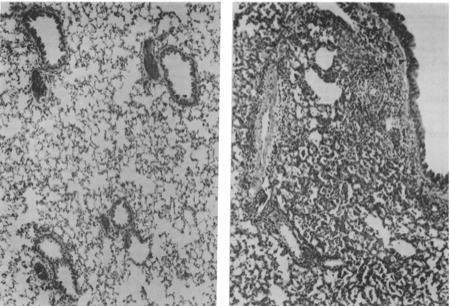 As found previously for Ad5, deletion of Ad4 E3 genes resulted in increased lung pathology. Surprisingly, insertion of HIV genes into this region significantly restored protection attributed to E3 gene products, diminishing overall pathologic effects to Ad4WT levels (P<= 0.0001). Ginsberg’s original paper has been cited over 200 times. Berencsi’s has been cited just 13 times, mainly for technical aspects; as far as I can tell none of the citations actually note the critical observation. Patterson’s paper? Only 4 citations (and as I say, they themselves didn’t cite Berencsi either). Fields Virology, the authoritative source, mentions Berencsi et al in passing but doesn’t describe or comment on the actual finding, let alone its significance, and doesn’t mention Patterson et al at all. Fields offers the party line, Ginsberg’s interpretation, on pulmonary inflammation. It’s possible that people in the field are aware of the observation and are discounting it for some good reason, but if so, it’s apparently an unpublished good reason. (Maybe when I see the paper I’ll decide it’s a load of dingo’s kidneys, but it’s hard to see how it could go that wrong; what’s more, the replication by Patterson et al make it much more likely that the phenomenon is real.) If it’s not E3gp19k deletion that’s causing the causing the inflammation, what is it? I have no idea. Perhaps the deletion alters regulation or expression of another gene (perhaps by altering splicing); perhaps it alters the rate of genome replication; perhaps (because this is 2008) there’s some microRNA effect. Who knows? The important thing is now I have one less piece of evidence that CTL evasion is important in vivo. Ginsberg, H. S., Horswood, R. L., Chanock, R. M., and Prince, G. A. (1990). Role of early genes in pathogenesis of adenovirus pneumonia. Proc Natl Acad Sci U S A 87, 6191-6195.